I was going to Shah Alam on that day and I'm really confident that I can get there just in time. But, the car is moving quite slow to that direction and I decided to change plan and here I am at Citta Mall. It has been a while since I'm coming here and that create questions in my mind, what can I do to kill time and eat during Ramadhan. By the way, I feel like eating some western food (nyum nyum). 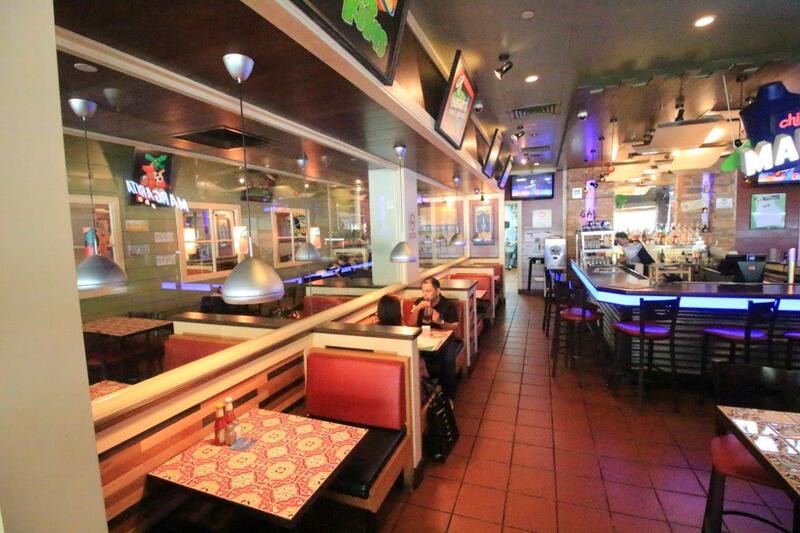 Most of the restaurant is located on Ground level which is awesome! I open my car door and there are all the restaurants waiting for me to dine in. 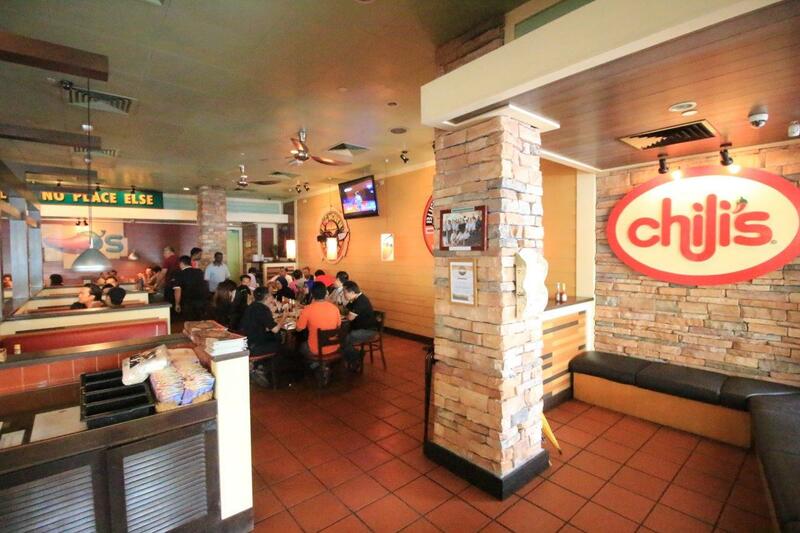 I was walking back and forth on the whole level and it's a battle between Chili's and Tony Roma's. Honestly, both of the restaurant served a large portion but I can see the clear winner here (scroll below to know which restaurant is the saviour to my stomach Eh!). Booking an Iftar place (CHECKED). Now, let's see what we have here around Citta Mall. 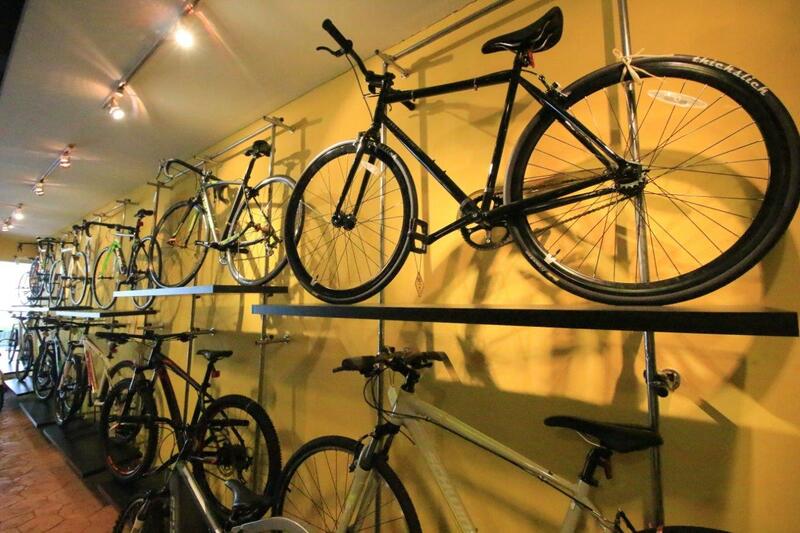 The first store that capture my sigh is Volt Bicycle. Why? Because this store remind me of my old bicycle that I used to race (by my own) and just be freedom. I have a thought of buying one for myself because I really love to cycling when I was young, and it was good memories. Maybe I can recapture memories of me feeling breezy while cycling down the hills. Which one will be mine? (imagine evil laugh here). Welcome to BBQ King! Your one stop centre for your barbecue needs. Moving on to the second floor! I never found a place that specifically selling all of your barbecue needs. 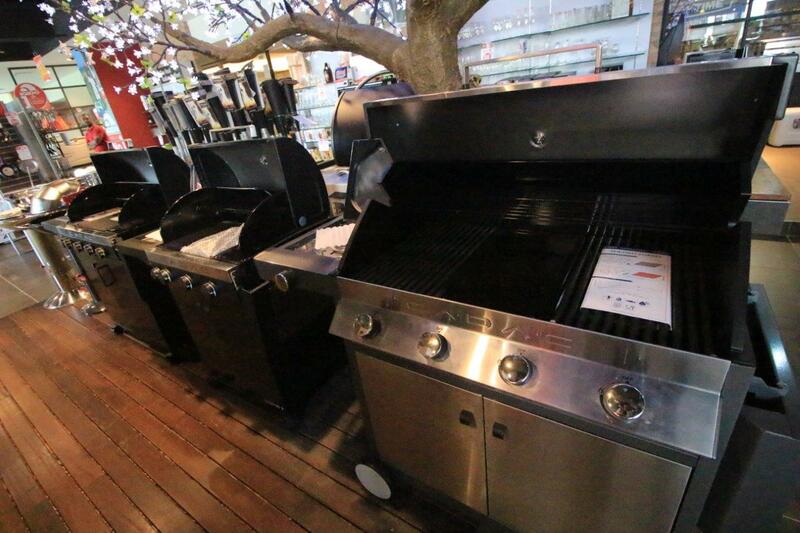 Name it, from grills to box to keep all of your marinate meat, this store (BBQ King) is made for grill lover. I'm keeping a humble dream of mine to purchased this one day. I will used it just to roasted the Chili peppers and made a fresh salsa every single day! (Don't worry, you will be invited!). 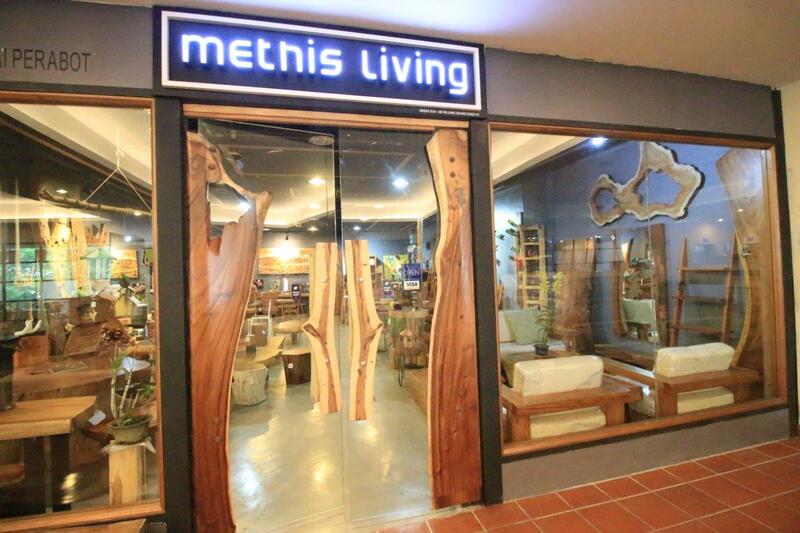 Look at the wood design of Methis Living. Look what I found! All made from woods, event their door have the same woods design. First impression of Methis Living PASS. When I look around this store, automatically I will remember my mom. 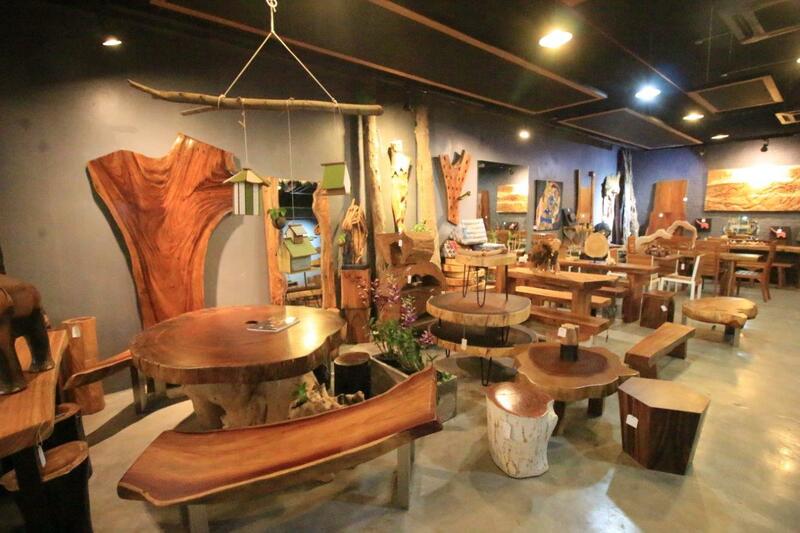 She really loves woods furniture especially that made from Jati Wood. I really love how I felt when I walk in the store, just pure nature and the smells of wood are refreshing (one of my habit is to smell things off). So many woods furniture, which one is your favourite? OMG it's almost Maghrib! 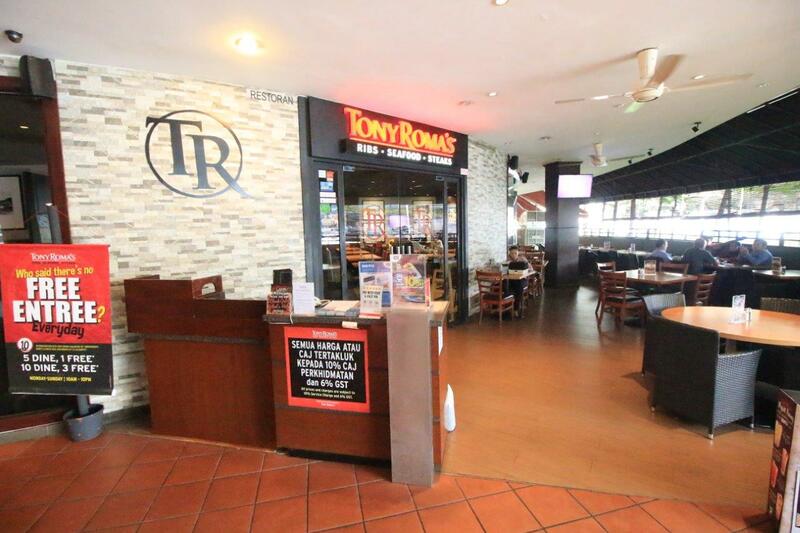 Let's move quickly to our seat at Tony Roma's. I was actually didn't know what is the current promotion and I think I'm so lucky because I'm just on the right time for their current promotion, Tony's Sharing Platters. 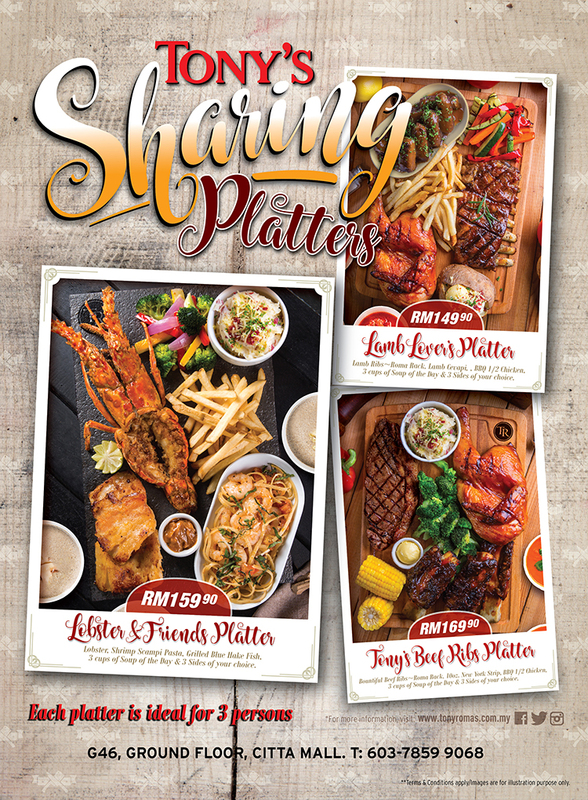 There are THREE types of platters: Tony's Beef Ribs Platter (World Famous Bountiful Beef Ribs, Half BBQ Chicken and 10 oz New York Strip Steak for RM 169.90), Lamb Lover's Platter (Lamb Ribs Roma Rack, Lamb Cevapi and Half BBQ Chicken at only RM 149.90), and Lobster & Friends Platter (Lobster, Grilled Blue Hake Fish and Salmon Scampi Pasta for RM159.90). The portion of this platter is ideal for 3 persons. I decided to go with the first platter because I see some good amount of broccoli and meat. But, it seems like impossible to finished this all by myself so I decided to take away (tapau) some to my home. Alhamdulillah, I'm so full and its time to back to my home sweet home. Most probably will continue eating the rest of the food at home (tongue sticking out emoji here). Thank you for spending your time reading my blog! It mean so much to me. Before that, don't forget to SUBSCRIBE to my email list on top of the page, to be the first one to receive updates from me.